Don’t forget to save the dates of July 31 – August 6, 2011. These are the dates that the ATA National Championships will be held in Atlanta, Georgia. 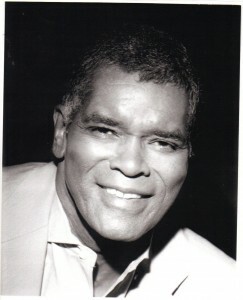 Mr. William Earl “Bill“ Shelton, Jr., age 74, of Amelia Island, FL passed away on Thursday evening, March 31, 2011 at his home. He was the first African American sports agent to manage world class tennis players including Andre Agassi. Born in Columbia South Carolina, he was son of the late William E. and Earnestine DaVault Shelton. He was a graduate of C. A. Johnson High School in Columbia S. C and St. Paul Episcopal University of Laurenceville Va. Upon completing his education he enlisted in the United States Army and was honorable discharged in 1964. He and his family were members of St. Luke’s Episcopal Church in Columbia, S.C. He was employed for by the New York Department of Social Services. He was Vice President of Richard Clarke Associates in New York City, a head hunting agency. Mr. Shelton then began a long and distinguished career in Sports Management starting as Vice President of All American Sports, under Nick Bollettieri. He went on to the position of VP of Player Development at Prince MFG. In the late 1970s, while coordinating a tennis convention in Miami, FL for Prince Manufacturing, he met his future wife, Raven; a veteran of ten Broadway shows, and an accomplished international Model. Continuing his career as a Sports Agent, he moved to Advantage International in Washington, DC, then IMG, where he was Vice President of Racquet Sports, where he remained until the early 1990s. After managing athletes Andre Agassi, Zena Garrison, Vince Carter and Paul Anacone, and others, Mr. Shelton was asked to focus his efforts solely on Agassi Inc. in Las Vegas, NV. He remained with Agassi, Inc., until 1994 when he opened Bill Shelton & Associates, Inc in Alexandria, Va.
Mr. Shelton was a pioneer in Sports Management. 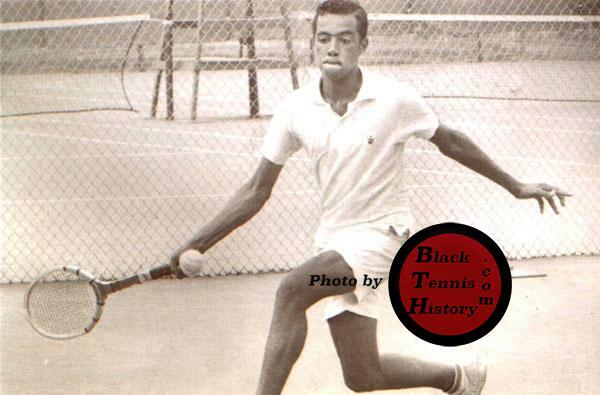 He was the first African-American Sports Agent to manage world class tennis athletes. He was not only a manager and advisor for the best in the world but was a coach, mentor and friend to both young and seasoned athletes, including Arthur Ashe. He was oftentimes sought out for simple guidance and direction. He not only cared about the athlete’s immediate career goals, but was equally concerned about their future professional lives, after retiring from sports. Bill was a dear friend and confidante to me. We stayed in touch with one another throughout the years and collaborated on several projects. He will be missed! 1961 ATA Nationals, Hampton Univ. Hampton, VA.
1961 ATA Nationals - Hampton, VA.
You will also be able to visit with the standout performers who have been inducted into the Black Tennis Hall of Fame, photographs and playing histories of these individuals, including Althea Gibson and Arthur Ashe.